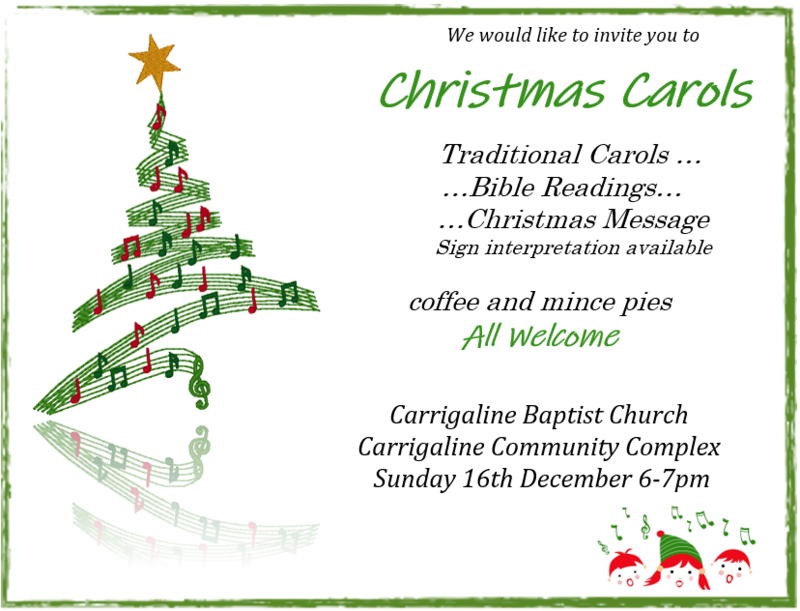 You are warmly invited to our Carol Service at 6pm on Sunday 16th December 2018. Note: There will be no morning service on Sunday 16th December as we will be meeting at 6pm. This entry was posted in Special Event, Sunday Morning by admin. Bookmark the permalink.